Produced by Martin Lynch and Liam McMullan It all started as a joke when Leesa Harker wrote a Belfast-based spoof of Fifty Shades of Grey. Very soon it went viral and had 29,000 followers! Following phenomenal, sell-out success across the land Maggie Muff, Big Sally Ann and Mr Red White & Blue are returning again in April 2019. If we were to say this is a laugh-a-minute evening we would be telling lies – it's literally non-stop laughter! 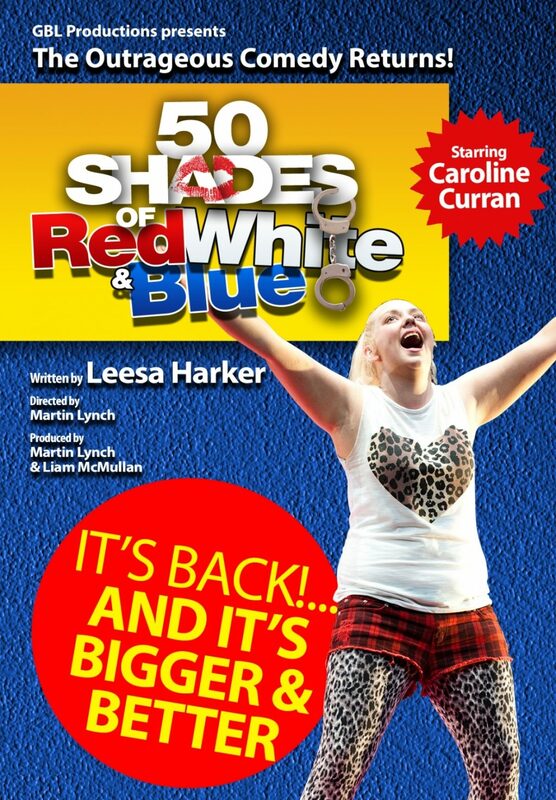 Fifty Shades of Red, White and Blue tells the story of loveable Maggie Muff and her search for love, featuring laugh-out-loud characters such as big Sally Ann, Sinead the Greener and of course, the mysterious Mr Red White and Blue himself.